As many Environmentalists out there will know, today is Earth Day, a worldwide celebration of the earth, the environment and all the things people do to help it. The campaign and initiative behind Earth day and indeed Earth Month began in America in 1970 but has since spread to all corners of the globe to bring people together and raise awareness of environmental issues. One of the most successful aspects of the campaign to date has been the 1 Billion Acts of Green initiative, launched in 2010 to help encourage a billion acts of environmental responsibility. In 2012 they reached their quota with over a billion entries by people who have planted trees, started a compost heap or just committed to turning their phone chargers off at the wall! Well, all this green fingered thinking has inspired us here at Accent Garden Designs and to honour the huge and ongoing success of Earth Day we’ve put together a few things you can do at home to make your garden even greener. 1. Compost Heap: Not just responsible but practical, composting your household waste is a great way to get rid of it without getting the bin men in. Not only is it a good way of getting rid of garden detritus, it will provide you with a plentiful supply of free, environmentally friendly organic matter. Who wouldn’t want one? 2. Say “No” to Peat: Organic matter is a great thing to put into your garden and historically one of the more effective forms has been peat. Unfortunately while it may be good for your garden, the stuff you’re digging into your rose beds has had to be dug up somewhere else. Peat forms naturally from large quantities of plant matter, compressed at the bottom of bogs and swamps over thousands of years. Safe to say any peat that gets dug up for the petunias will not be reforming for quite some time and since it forms a vital part of the ecosystem removing it could cause all sorts of problems. Thankfully there are plenty of other options, so avoiding peat is easy as well as responsible. 3. Use More Native Plants: Just to clarify, we all love non-native plants. Everything from Camellias to Chrysanthemums, they’re lovely and can absolutely be included in a garden without any guilt at all. Still we should all spare a thought for our native species once in a while. 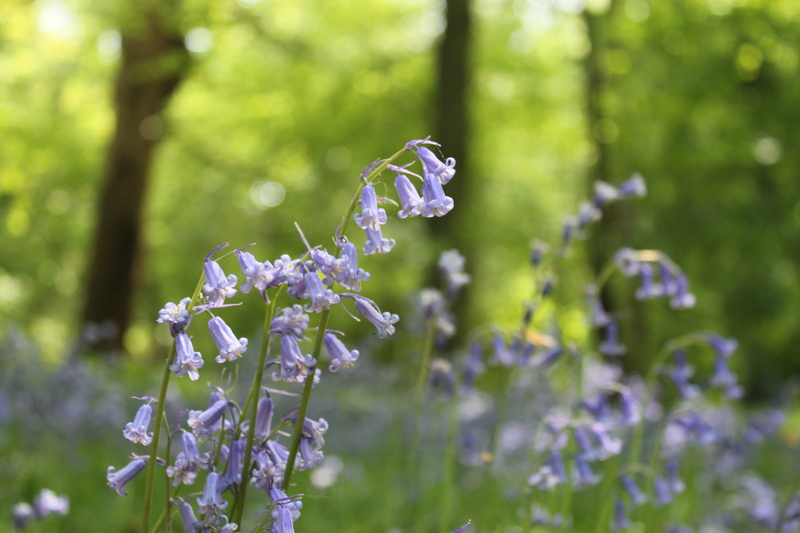 Some may think this is just about keeping our local plant species going but there’s more to it. Plants form the basis of the ecosystem, by including more native plants in your garden you are helping our local wildlife population as well by attracting more native insects which attract more native birds and so on and so forth. Non-native plants are great, as plants, but only native species will provide support for the great British ecosystem. So add a few forsythias or cornus to the mix, persicarias, foxgloves and of course English Bluebells (not to be mistaken for Spanish Bluebells) to make your garden quintessentially British. 4. Plant more Pollinators: Similar to the last point; pollinators of any kind are great for encouraging the wildlife. By adding more plants that are attractive to bees and other insects you will give a huge boost to the local insect population, which in turn will provide more food for birds and their fellow insectivores. Hypericum or buddleja are great for this as pollinating insects of all kinds just love them. Plant a few of these and not only will you have a lovely addition to your garden but everyone from the bees to the birds will thank you for it. 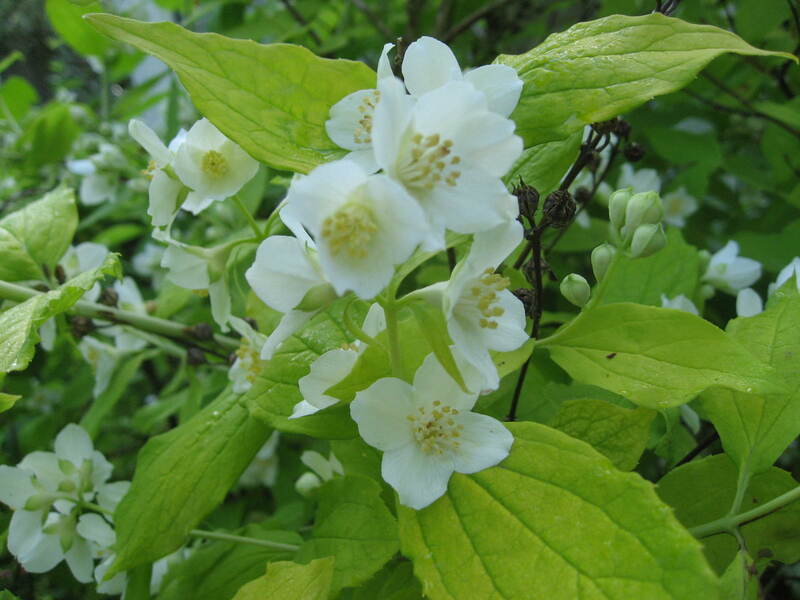 The open petalled flowers of the Philadelphus are intoxicating to both insects and humans! 5. Use Local Stone: It might seem odd to be worrying about the environmental impact of your patio tiles but actually it is more relevant than you might think. Many of the cheaper options for stone in the garden include sand stone from Afghanistan & India, granite from China. These stones are produced in vast quantities by companies that can cut corners local stone producers are not allowed to. Much of the savings made on such stone come from there being no need to dispose of waste properly or to repair an area after quarrying. Not to mention of course that in order to get the stone to your garden it has to be moved via transport ships half way round the world, which leaves a fairly hefty carbon footprint. 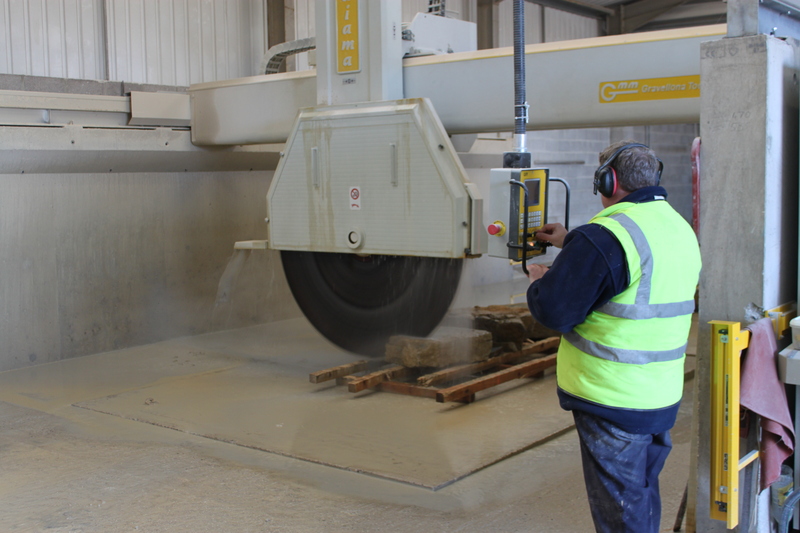 Using local stone is significantly better for the environment, it is also of higher quality as not only are British quarries subject to more quality control, some of the finest granite and limestone in the world can be found right here in Blighty. It might be tempting but try not to skimp on the stone and when it’s still looking fine ten years from now you’ll remember it’s not just good for the path but for the planet too. It supports local employment too.